Are you doing all you can to tap into the corporate gift market? According to the Advertising Specialty Institute, $48 was the average purchase by companies giving gifts to clients and potential customers last year, a 9% increase from the year before. Food and beverages were the most popular items, the ASI reports, followed by useful office items such as engraved pens and flash drives with corporate logos on them. Even companies rewarding their own employees gave food and beverages if they didn’t use a cash bonus or gift cards as a thank you. 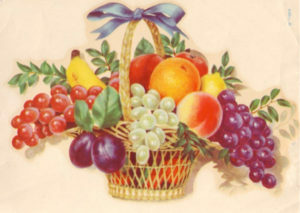 Fruit baskets and popcorn tins were among the most popular, if not most imaginative, food choices. If all of these factors are true, how can you use them to your advantage to market to the corporate gift market? For starters, you have to let companies know what you have to offer, and you have to make it easy for them to order from you. Be sure to promote yourself as the “buy local” alternative to national corporate gift companies. Providing delivery is essential, and the gifts must look festive and have a card from the giver. Offering a few different options will make it easy for a company to take care of all of its gift giving through your shop. If you don’t sell popcorn or fruit, never fear. Any consumable gift can work: other foods, bath and body products, candles, plants or calendars. You could use a mug or other more lasting item as a base, and perhaps add a gift card to another locally owned business such as a coffee shop. Put together a few different gift sets (remember, variety is good) and see if you can get an appointment to show them to someone at your local bank, real estate agency, law office or insurance company. Ask for their feedback and refine your offerings before starting to take orders. And don’t forget to mention that if a business would prefer gift cards to your shop, you’d be happy to provide these in any denomination, attractively packaged and with a custom gift enclosure.